NEIL Lennon marked his first game since returning as Celtic manager with an emphatic, brave and hard-fought victory against Hearts at Tynecastle tonight (Wednesday). The Hoops opened the scoring with a brilliantly-worked first-half counter-attack that was completed by James Forrest, before the home side – down to 10 men following a rash challenge on Jeremy Toljan by Jamie Brandon in the first period – pulled level with a second-half penalty. But two minutes into four minutes of second-half added time, substitute Odsonne Edouard showed great composure in front of goal to fire the Hoops into the lead, and secure all three points to maintain the Scottish champions’ eight-point lead at the top of the SPFL table. 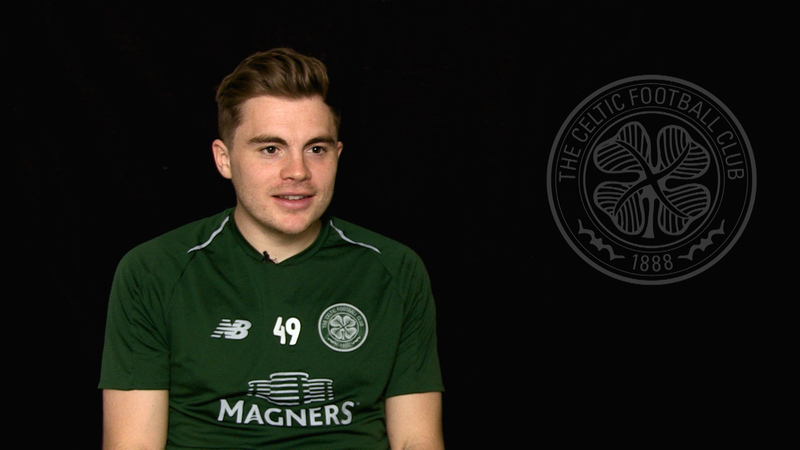 As detailed at the manager’s afternoon press conference, assistant manager John Kennedy prepared the squad ahead of tonight’s match, which included two changes to the starting XI that defeated Motherwell 4-1 on Sunday. 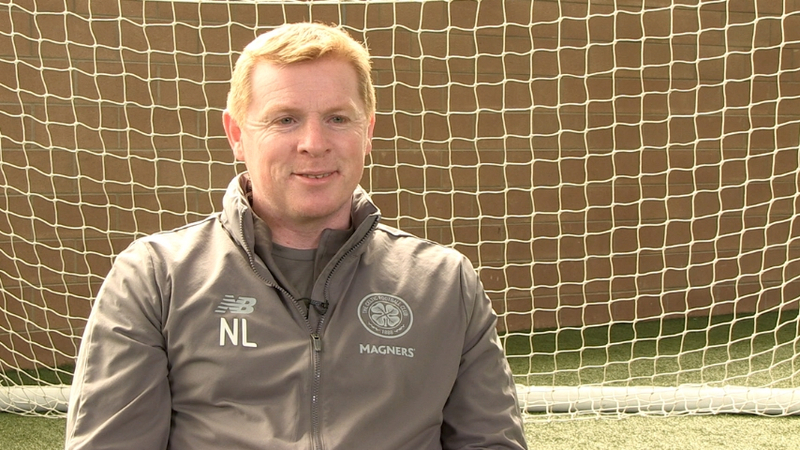 Neil Lennon, however, joined his new assistant manager in the dugout, alongside first-team coach Damien Duff. Both sets of supporters were vocal from the outset, which set the tone for a fast and frantic opening 10 minutes. On the pitch, both sides wrestled for possession for the first quarter of an hour, but neither managed to get a foot hold on the game. The Hoops passed and pressed well in front of the home side’s penalty area, but the first half-chance of the match fell to Hearts’ Olly Lee who forced a path into the box, before Kris Ajer and Nir Bitton combined to clear in front of goal. At the other end, the Scottish champions carved a half-chance of their own, by way of a neat crossover between Forrest and Tojan on the right flank. A sharp one-two between the pair saw the 27-year-old midfielder slip in the German down the line, but his cross was cleared by the first defender. The ball was immediately returned to Olly Burke, whose typically powerful turn of pace demanded a cool head from Christophe Berra in the box. On 18 minutes, Scott Brown matched the intensity of the game with an equally ferocious drive outside the penalty area that Zdenek Zlamal did well to parry wide. Hearts then turned the loose ball into a counter-attack, drove at the Celtic goal and forced a right-sided corner. Lee took the set-piece, Sean Clare met the ball with a side-foot volley, and Scott Bain was forced into a world-class, finger-tip save to push the ball round the post. A handful of fouls by either side followed in the next 10 minutes, as the intensity and pace of the game failed to subside. Steven Naismith might have done better in front of goal on 32 minutes, after dispossessing Dedryck Boyata in the visitors’ final third, but saw his shot trundle wide. 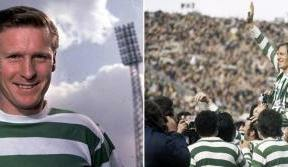 Then, three minutes later, Celtic broke the deadlock with a wonderfully-executed counter-attack that began with Ewan Henderson and ended with James Forrest. The 18-year-old midfielder capitalised on a loose ball deep into his own half, before playing a deft through ball for Sinclair chase on the left. The Englishman burst forward, played an inch-perfect first-time pass to the overlapping Burke on the inside-left channel, who in turn took a touch long towards the Hearts box, before unselfishly squaring the ball to Forrest in front of goal, who fired home with aplomb, much to the delight of the travelling support. The goal allowed Neil Lennon’s side to step out further still, and on 40 minutes, Burke was unlucky not to double the Scottish champions’ lead. Some brilliant link-up play between the 21-year-old and Toljan on the right was capped off with two well-struck efforts that required a fine double-save from Zlamal in goal. 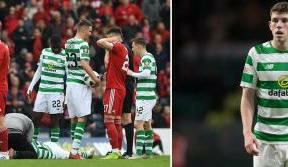 Ahead of half-time, the home side went down to 10 men, when Jamie Brandon was shown a straight red for a rash challenge on Toljan at the halfway line. The Hoops went into the break defending a well-deserved lead, and returned with similar vigour. The 10-man home side responded with similar intensity and fought hard for possession, and on 55 minutes pulled level by way of a penalty. Off the back of a Celtic counter-attack, Hearts replied with a long ball deep into the Celtic half, to which Boyata had claims for offside waved away. A pass to Bain was moved on to Ajer, who then brought down Uche Ikpeazu with an outstretched leg. Substitute Ollie Bozanic duly scored from the spot. With a man advantage, the Hoops enjoyed a spell of concerted pressure as they pressed Craig Levein’s side deep into their half in pursuit of a second goal. Half-chances fell to Brown, Bitton and Toljan by way of off-target long-range efforts, but the next clear-cut opportunity arrived on 60 minutes, when Tierney fired a low ball across from the box from the left that the out-stretched Sinclair struggled to control six-yards from goal. Minutes later, a typically fast piece of footwork from substitute Edouard was capped off by a strike just high and wide of the target. As the match entered its final quarter of an hour, a well-structured Hearts frustrated the Hoops with 10 men behind the ball, and defended in packs with discipline and aggressiveness. 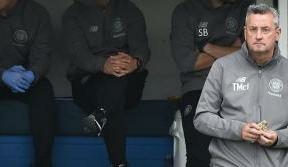 Substitute Timothy Weah fired a shot high over the crossbar with five minutes of normal time remaining, before Edouard forced a strong hand from Zlamal in goal. 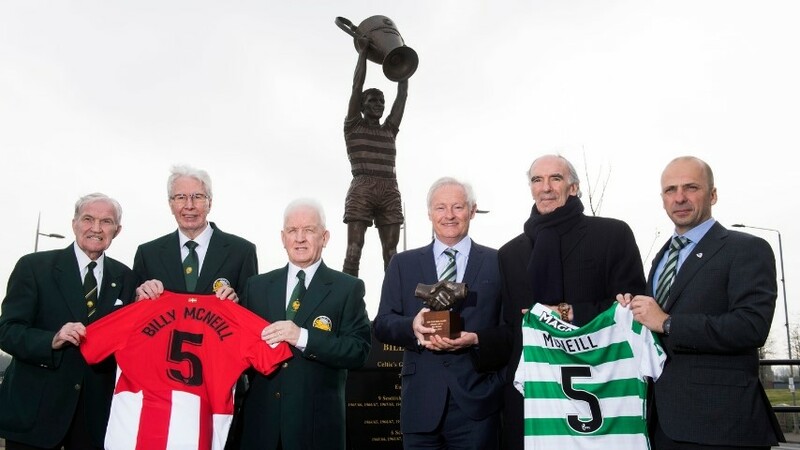 Celtic threw everything they had into the home side’s final third and were rewarded with a late winner, when tireless club captain Brown crossed for Edouard who, in turn, fired home in emphatic style. The away support erupted and the Hoops ran down the clock with a well-deserved three points. CELTIC: Bain; Toljan (Lustig 85), Boyata, Ajer, Tierney; Brown, Bitton, Forrest, Henderson (Edouard 61), Sinclair (Weah 79); Burke.